Pentair Pool Cleaner Reviews: Find Out How This Company Win Their Customers’ Hearts! There are a lot of industrial companies that promise quality pool cleaner products available at affordable prices. While a few companies are true to their words, there are also those that only care about the figures and don’t really put emphasis on customer satisfaction. Unfortunately, a lot of consumers fall victims to these companies’ false advertisements. Hence, as a smart consumer, you should arm yourself with the right knowledge about specific brands to trust. One leading brand that has earned the trust of many consumers worldwide is Pentair. Being, a multinational industrial company that focuses on water and fluid control in manufacturing industries and infrastructure, Pentair is a top choice when it comes to quality and best pool cleaner options. In fact, Pentair pool cleaner reviews online are mostly positive and express excellent customer satisfaction. 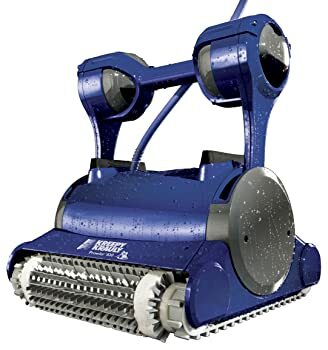 To give you a better scope why Pentair is a smart choice, we reviewed some of its pool cleaner models, as well as its best robotic pool cleaner models. Moreover, we also took the liberty to present three reasons why you should choose Pentair products. Pentair values their customers’ satisfaction the most. Hence, they do not only produce products that meet their customers’ expectations, but they also make it easy for their customers to reach them. They have different customer hotlines in each product category. This ensures that the customer service representative that handles your issues is knowledgeable about the products you purchase. Moreover, they provide contact details of the Pentair office location near you. Being a leading manufacturer of pool products, it is not at all surprising if Pentair is up-to-date with the latest innovations in the field. From the newest above ground pool cleaner and fiberglass pools to the latest pool filter and pool pump products, Pentair makes sure to make the highest quality products that are useful to its customers. Since 1999, when Pentair purchased Essef, a leader in water equipment used in pools and spas, the company has never stopped to innovate their products. Pentair only partners with reliable suppliers that produce high-quality products. Unlike other companies, Pentair put emphasis on both quality and competitive pricing. They also make sure their operation (as well as their partners’) follow safety measures. Hailed as one of the best inground pool cleaners on the market, this product is commonly the top choice for most kreepy krauly reviews online. With a powerful cleaner scrub and vacuum, the Pentair GW9500 Kreepy Krauly Inground Pool Cleaner is indeed a well-loved product. 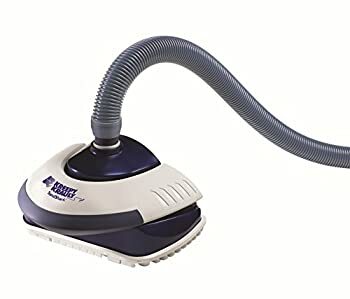 Most of the product’s users are impressed with its vacuum as it can vacuum dirt, leaves, and even sand. They are also impressed with its durability which could last up to 3-5 years. It is an automatic pool cleaner, so no need for close supervision while the cleaner is in use. Its vacuum port door has a cover, which is spring-loaded, for the user’s safety. It can be used for cleaning fiberglass pools, as well as pools with vinyl and gunite surfaces. It can clean pool dirt even in hard-to-reach areas. It also features a UniDapt telepole adapter for cleaning spots. Another product that made a lot of users happy is the Pentair LL505PMG Kreepy Krauly Automatic Pool Cleaner. This cleaner has also received positive ratings in most kreepy krauly pool cleaner reviews. Many users love the fact that it is a specific pressure-side cleaner for dark-colored pools. They also commented how this product is a lot better than their previous pool cleaner from other brands. It can clean pools within 1-3 hours. It can clean inclined surfaces— thanks to its heavily treaded tires that give it a maximum traction. It is compatible to clean pool surfaces made of fiber, vinyl, and concrete. It has an independent booster pump, ensuring optimum cleaning performance. 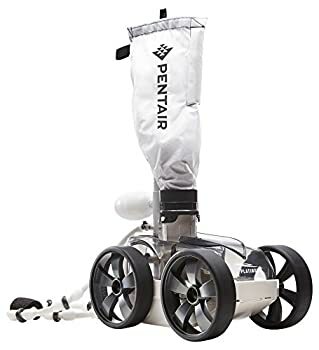 If you are looking for a universal pool cleaner that can cover the entire pool floor and walls, then Pentair Kreepy Krauly 360042 Suction-Side Universal Pool Cleaner is an excellent option. 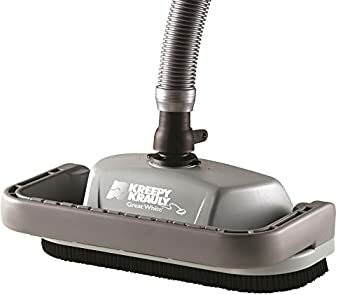 One of the recommended models from the Kreepy Krauly series, this pool cleaner is always on the list of most Pentair kreepy krauly reviews. A lot of its users commented that it’s a great improvement over its predecessor. With a lot of cool features and high performance, customers said that this product is worth every dollar spent. Although a few users have issues while using it, saying it stopped working after a while. It’s the perfect pool cleaner for vinyl pools. It doesn’t have any unpleasant noise while in use. It can climb the entire wall and clean every corner of the pool floor. It’s very easy to put in the pool. Not all pool cleaners are created with the same features. If you are looking for a pool cleaner that is perfect for round pools and spas, then this is your match. It has a product dimension of 13x13x13, perfect for medium-sized pools. Its exclusive smart-trac programmed steering system is its key-selling feature, and many users love his product for this. While a few customers say they have problems with the hose, the ratio of those who are satisfied with its performance is a lot more. It cleans faster than the other styles of the pool cleaner. It can clean the ladders/stairs of the pool. It has a spring-loaded vacuum cover for safety purposes. The cover can only be opened with a tool so that the collected dirt and debris will not accidentally escape while the cleaner is in the pool. One of the best-selling Pentair Kreepy Krauly pool cleaners is this 360032 Kreepy Krauly Prowler Pool Cleaner. It comes with a 60-foot cord and is designed to handle heavy-duty cleaning tasks. Although this cleaner doesn’t do well in terms of climbing the pool walls as compared to other Pentair cleaner products, it still impresses a lot of customers with its powerful cleaning ability. A lot of users fall in love with its vacuum and filter features. It can clean a medium-sized pool in just 2.5 hours. 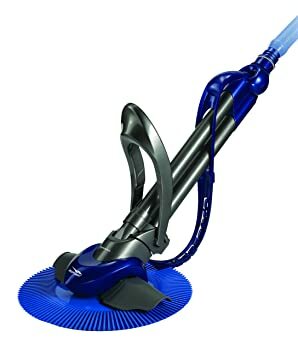 It has excellent vacuum and filter features. It can be controlled using a wireless remote control. All its components are safe and ETL-certified. 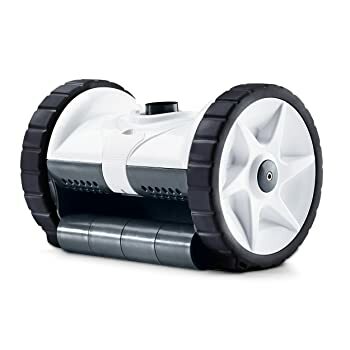 This Pentair 360302 Kreepy Krauly Warrior Automatic Pool Cleaner is a popular inground pool cleaner. With a two-wheel design, this cleaner resembles the rebel model and is often mentioned in a lot of Pentair rebel pool cleaner reviews. A few customers are not impressed with this cleaner after using the other Kreepy Krauly pool cleaners. The most common issue is that it gets tangled. However, the product is not all bad. In fact, it is one of the best-reviewed models that don’t clog up easily and perform uninterrupted suction. It has a programmed steering cycle. It features a sure-flow turbine. This feature is responsible for allowing dirt to pass through easily so as not to clog the product. It works great on granite, fiber, and vinyl pools. It cleans the floor and walls in 90-degree angles. All these pool cleaners featured on this Pentair pool cleaner reviews are a worthy purchase, but the Pentair GW9500 Kreepy Krauly Inground Pool Cleaner is the clear winner simply because of its amazing features. It has a big appetite that can clean surfaces with a 15” cleaning path. It is also compatible with almost all types of pool such as fiberglass pools and vinyl pools. Lastly, we are impressed with the fact that this cleaner works in inclined, dish, and even hopper-bottom pools. What about you? Which Pentair pool cleaner is your favorite? Let us know in the comments section below!